Overachievers steal ALL the cars from used car lot. The incident happened overnight Sunday into Monday at BAM Used Cars in Decatur. The sheriff's office said one of its lieutenant spotted the five stolen vehicles parked along a county road near Big Sandy Creek. 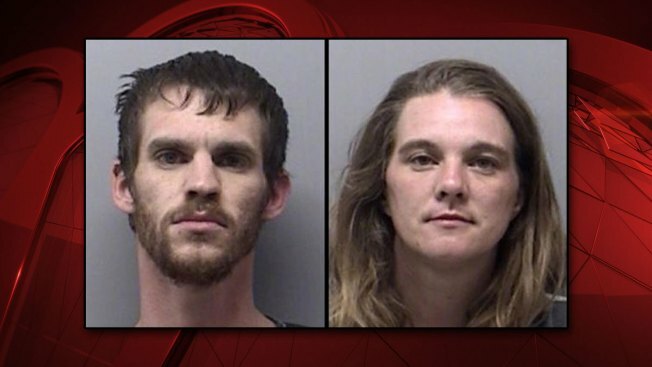 Two Parker County residents, 30-year-old Justin Wehrenberg and 31-year-old Delories Barnett, were arrested in relation to the incident, the sheriff's office said. The cars and the stolen property from the office, including computers, car titles and business checks, were recovered. Sheriff's deputies said Wehrenberg and Barnett were also in possession of methamphetamine. They stole everything needed to open their own used car lot. Which one is Delores, cause they both look like a Justin. That's a couple of go getters right there! Obligatory “meth is one hell of a drug” comment. Can’t all these meth heads just settle for a Dexedrine prescription? Or is it hard to get down there? You'd have to be on meth to have the energy to steal a car lot in one night. "The incident happened overnight Sunday into Monday at BAM Used Cars in Decatur." Love the name. There once was a used car lot and then..BAM! it was gone. I bet they were just high enough that they thought the locked gate and fence was just enough to conceal their car lot. As they were getting high, they told each other that possession is 9/10 of the law. Harhar! Can’t all these meth heads just settle for a Dexedrine prescription? Or is it hard to get down there? It's Schedule II here. No refills, physical prescriptions, limited number of doses, etc.